Hot-Dipped galvanized, aluminum and stainless steel nails are all corrosion-resistant and all can be used to nail Western Red Cedar. Other types of nails are not recommended. They can rust and disintegrate and react adversely with the natural preservative oils present in cedar resulting in stains and streaks. Copper nails also react with cedar and should not be used. Stainless steel nails are the best choice, especially if the siding is to be finished with transparent stain. 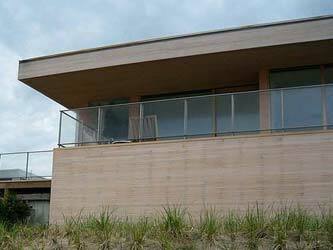 Use No.304 stainless for general siding applications and No.316 for seacoast exposures. For best results use "splitless" siding nails. These have thin shanks and blunt points to reduce splitting. For greater holding power, nails with ring threaded or spiral threaded shanks are suggested. 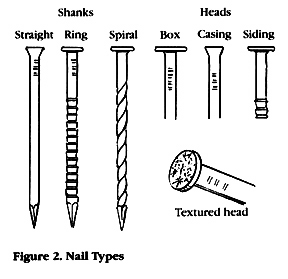 Nails with textured heads can be used to reduce glossy spots at the nails when finishing (see Figure 2 for nail types). The size of the nails to use depends on the type and thickness of siding. Good building practice is to use nails long enough to go through underlying materials, such as sheathing and insulation, and penetrate at least 1-1/2 in. into solid wood or 1-1/4 in. if using ring or spiral shank nails. See Table 3 for recommended nail lengths for various thicknesses of siding. Siding should be fastened to each stud or furring strip with nails spaced at a maximum of 24 in. on center. 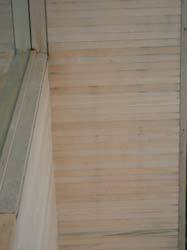 Nail placement depends on the siding pattern and width. The key is to fasten the siding securely without preventing it from moving in response to the moisture content of the air. In general, each piece of siding must be nailed independently. Nailing overlapping pieces together restricts the natural movement of each piece and will cause splitting. It has been determined that non-corrosive stainless steel nails are the best for exterior use or for high moisture interior uses. Bear Creek Lumber recommends these types of fasteners. 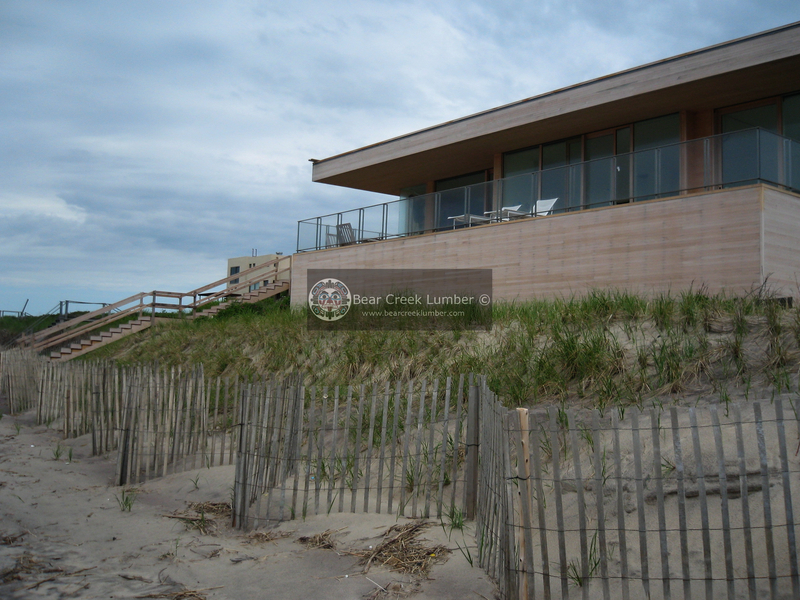 Below: images of a project were Alaskan Yellow Cedar was used as siding . The contractor installed the tongue and groove siding with regular nails. Even though it's blind nailed, the siding shows black corrosion streaks throughout. 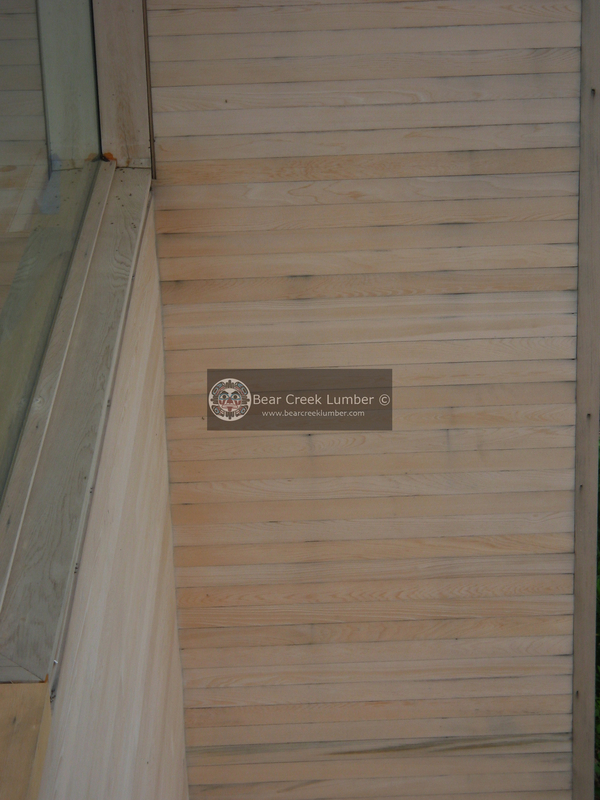 We are including these pictures in the Western Red Cedar page because you should expect the same kind of streaking with Red Cedar.